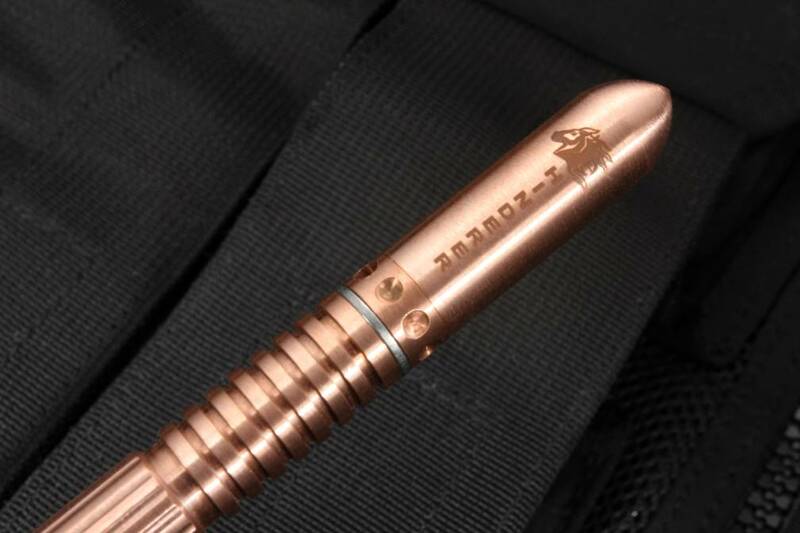 Rick Hinderer's modular Extreme Duty Pen in copper. 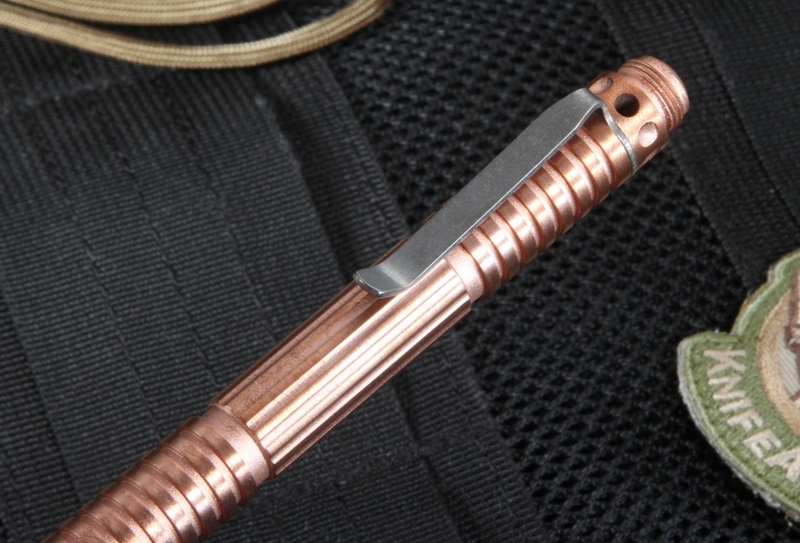 The solid machined copper is heavy, meaningful and provides the user with a material that patinas. We love copper as a material because it develops a uniqueness that reflects it's history and travels with you. 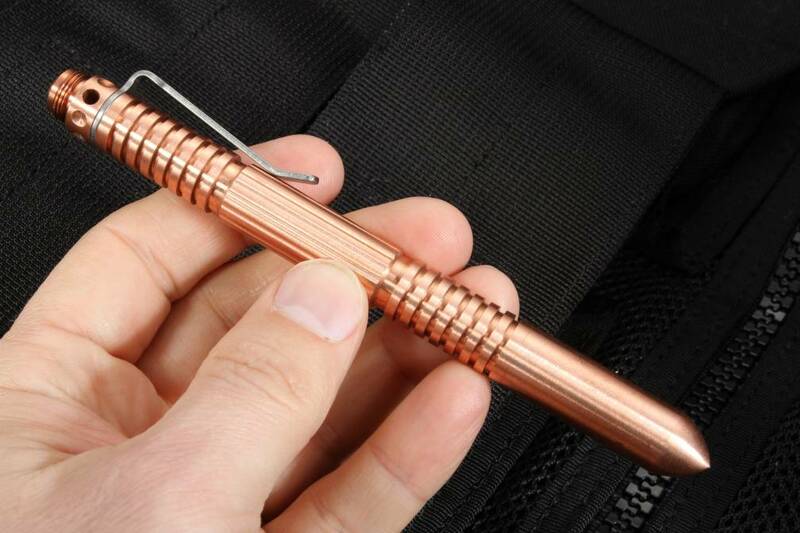 The nib is manufactured from 17-4PH stainless tool steel for added toughness, the clip is titanium. Coarse threads used throughout for extra thread height which translates into a very strong thread able to take the punishment of hard strikes. 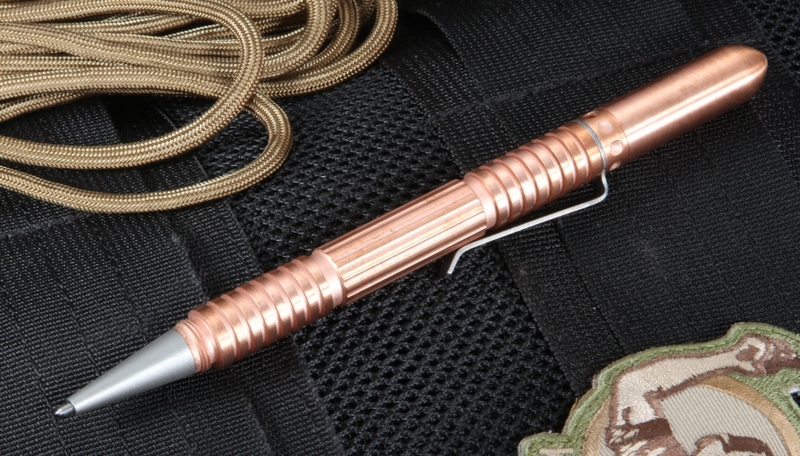 The Extreme Duty pen is no ordinary pen. 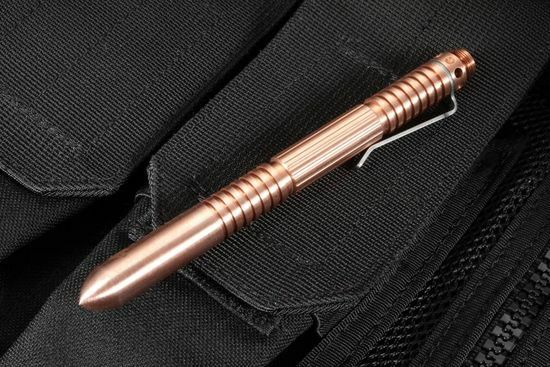 This pen was born from the need to have not only a quality writing instrument but also a tough, durable self-defense tool that you will have with you at all times. Rich Hinderer is a pioneer in the tactical pen world - and is universally known for his XM-18 folding knife. 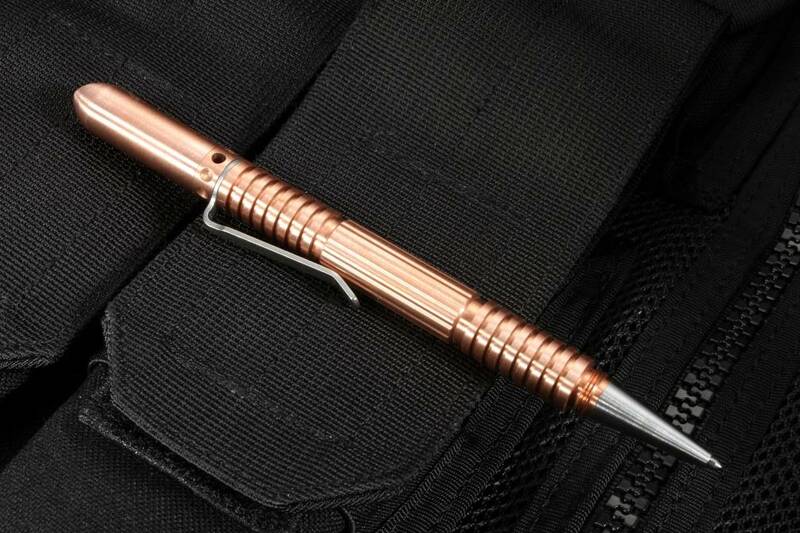 The infamous Extreme Duty Copper pen does not disappoint. The Pen is fairly large, very beefy and quite heavy due to being formed from pure copper. People notice this pen when you are writing with it. It has a way of drawing eyes and garnering attention. If you know of this pen you know it is next to impossible to find in stock. Thanks to KnifeArt's email letting me know it was back in stock I have the pleasure of owning this elusive Hinderer pen. If you can you must purchase this knife. It is everything you have heard it is. 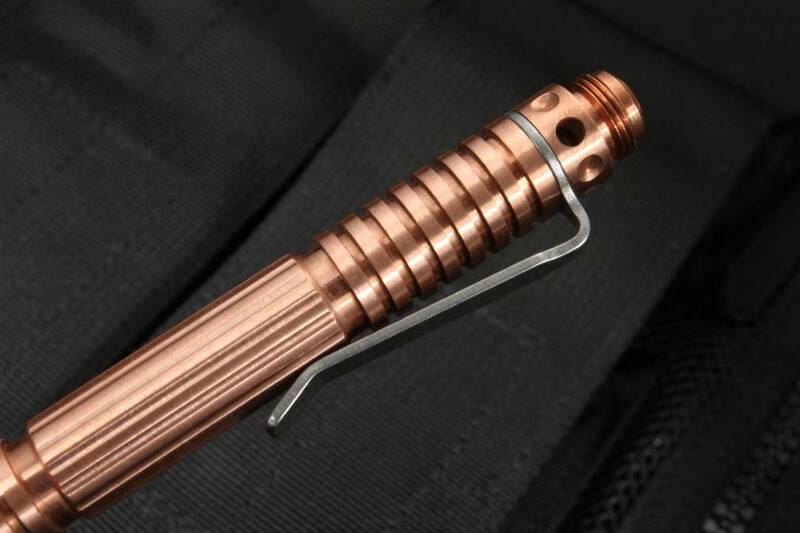 The finish is sort of a "aged copper" so it doesn't look like most other copper pens. There is no mistaking it though. There are none other quite like it.